Wow, time is flying by this year! It’s almost Thanksgiving, and that’s totally okay by me. That means our favorite Disney Parks holiday specials on ABC and Disney Channel are just a few weeks away. Disney Parks and Disney Cruise Line will transform into magical winter wonderlands filled with seasonal attractions and joyful entertainment. During the specials, viewers will also get exclusive looks at upcoming attractions and experiences coming to Walt Disney World Resort in Florida and Disneyland Resort in California. “The Wonderful World of Disney: Magical Holiday Celebration” premieres Thursday, Nov. 29, from 9–11 p.m. EST on The ABC Television Network and on the ABC app. Join singer, songwriter and “Dancing with the Stars: Juniors” host Jordan Fisher and “Modern Family” actress Sarah Hyland as they host the magical two-hour event from Walt Disney World Resort and Disneyland Resort. Joined by Disneyland host Jesse Palmer, Disney Parks and ABC will kick off the holiday season with a star-studded prime-time celebration showcasing incredible musical performances, special appearances and Disney magical moments including an extraordinary castle lighting spectacular from Disney Parks around the world – traveling the globe from Lake Buena Vista, Florida, and Anaheim, California, to Paris, Shanghai and Hong Kong. GRAMMY Award-winning singer, songwriter Meghan Trainor performs a medley of her hits. Singer, songwriter and actress Becky G performs a popular holiday hit. GRAMMY Award-nominated artist Aloe Blacc performs his debut single, “I Got Your Christmas Right Here,” from his first-ever holiday album, “Christmas Funk,” out Nov. 9. “Disney Parks Presents a 25 Days of Christmas Holiday Party” kicks off Friday, Nov. 23 in the DisneyNOW app and Saturday, Dec. 1, from 8-8:30 p.m. EST on Disney Channel. Hosted by Jordan Fisher and Disney Channel’s “Coop & Cami Ask the World” stars Ruby Rose Turner and Dakota Lotus, this festive half-hour special will feature star-studded musical performances and special appearances by Disney Channel stars Booboo Stewart (Disney’s “Descendants 3”), Kylee Russell (Disney Channel Original Movie “ZOMBIES”), Sadie Stanley (Disney Channel Original Movie “Kim Possible”) and Sean Giambrone (Disney Channel Original Movie “Kim Possible,” ABC’s “The Goldbergs”). Stanley and Giambrone will take viewers behind the scenes of Lightning McQueen’s Racing Academy, where guests will experience the world of Pixar’s “Cars” films and come face-to-face with Lightning McQueen. The experience rolls into Disney’s Hollywood Studios at Walt Disney World Resort in spring 2019. 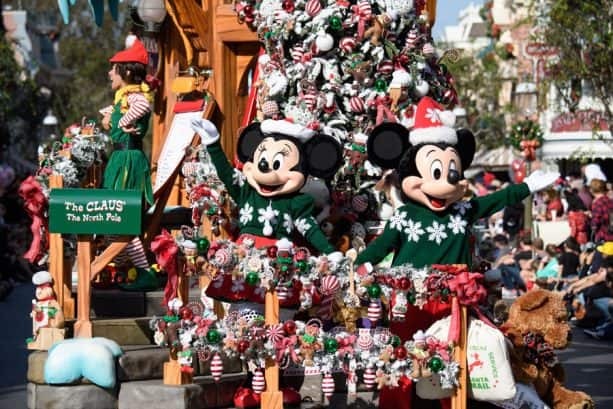 “Disney Parks Magical Christmas Day Parade” airs on Tuesday, Dec. 25, from 10 a.m.–12 p.m. EST, 9-11 a.m. CST/MST/PST on The ABC Television Network and on the ABC app. Airtimes vary, so be sure to check local listings. 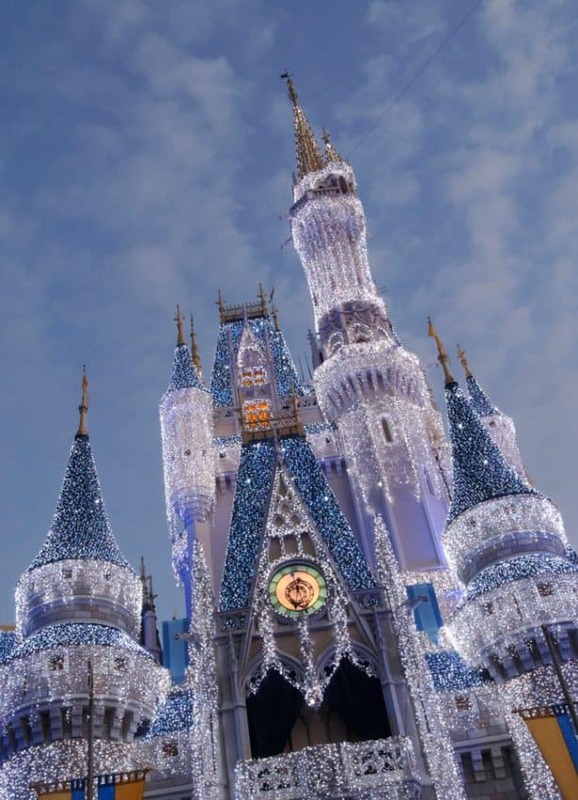 This Christmas, Disney Parks celebrates the joy of the season as hosts Jordan Fisher and Sarah Hyland share this magical holiday tradition with families around the globe. Co-hosted by Jesse Palmer, the Christmas Day celebration will be merrier than ever before, bringing together the adored Christmas Day parade, special musical performances, surprise celebrity guests and heartwarming family stories to celebrate the most wonderful time of the year. Joining the festivities as parade correspondents are Freeform’s “grown-ish” actor Trevor Jackson and star of Freeform’s upcoming series “Good Trouble,” Cierra Ramirez. Aloe Blacc performs “Tell Your Mama” from his first holiday album, “Christmas Funk,” out Nov. 9. Freeform’s “Marvel’s Cloak & Dagger” star and Hollywood Records artist Olivia Holt sings a holiday tune. How amazing does this all sound? Oh yeah, and that’s not all – stay tuned for more details right here on the Disney Parks Blog! Anyone know the time of the taping at Disneyland today? @Pamela Candlelight at Disneyland is always the first weekend in December. This year it’s the 1st and 2nd. I was at Disneyland this weekend and they were filming the parade. That was on 11/10/18. Doesn’t mean they won’t tape again later but just thought I’d share. Thank you, so Gwen Stefani will be at Disney WORLD not Disneyland right? @ Lilyana usually Disneyland does the parade and Walt Disney World does all those guests performances because they have a stage in front of the castle and a bigger central hub. No you don’t need to buy a separate ticket just to attend the T.V tapings. All you need is either a wristband and fill out paper work so you can be on T.V. These T.V tapings are under a distribution company and televised on ABC. @ Pamela Candlelight Procession at Disneyland is the weekend of December 1 and 2. Thursday, November 29, 2018 is just the air date. Does anyone know the date they filming this at Disney World? Would it be the 29th or is that just the air date? I was hoping to find out if there will a The Candlelight Processional at Disneyland this year ??? and if so when will it be. By any chance do we know where / when Andre Bocelli will be performing this week? Who will be performing at disneyland and who will be performing at Disney World?? @ Krista it’s included with theme park admission. You kinda have to figure out the tapings on your own. I figured out Disneyland’s taping for A Christmas Fantasy Parade this year since I saw the parade was earlier than usual. I already posted the usual times for A Christmas Fantasy Parade. 3:30 and 6:00 is usual. The only weekend they’re doing it at 1:00 and 3:15 is that first weekend in December which is Candlelight Procession. The only day the parade is at 11:30 is Thursday, November 15, 2018. That must mean they are taping that day at Disneyland. @ Jason that’s just regular Disneyland operating hours. These T.V specials are taped ahead of time. It takes a while to film and edit. They got to sometimes do 2 or 3 takes. Unlike the parade they can do that in 1 take. It says it’s at both Disneyland parks and Disney World, so which one is the filming then? And how can we get tickets? Does that mean they are filming on November 29th? Or is it just airing that day. I noticed the hours for the 29th at Disneyland are from 9-9. How can I attend a taping? How can I get tickets to attend the taping? @ Melissa which Disney Parks taping did you want to attend? I think it will be like the last 2 years where Walt Disney World does all those performances. That’s because Magic Kingdom has a bigger central hub and a stage in front of the castle. Just don’t know what dates they are taping. A Christmas Fantasy parade is being taped at Disneyland on Thursday, November 15, 2018. Just because I saw the schedule on that day where the parade is at 11:30 and 3:30. The normal time would be at 3:30 and 6:00 or 1:00 and 3:15. Only that day is when the parade is at that time. Which means they are tapping that day. Disneyland will do the whole parade because Disneyland has a longer parade route down Main Street U.S.A than Magic Kingdom in Florida. When are these events being filmed in the Disney parks?